A small grosgrain ribbon ruff graces the collar and cuffs of this basic Gipsy Peddler gusseted rapier shirt. 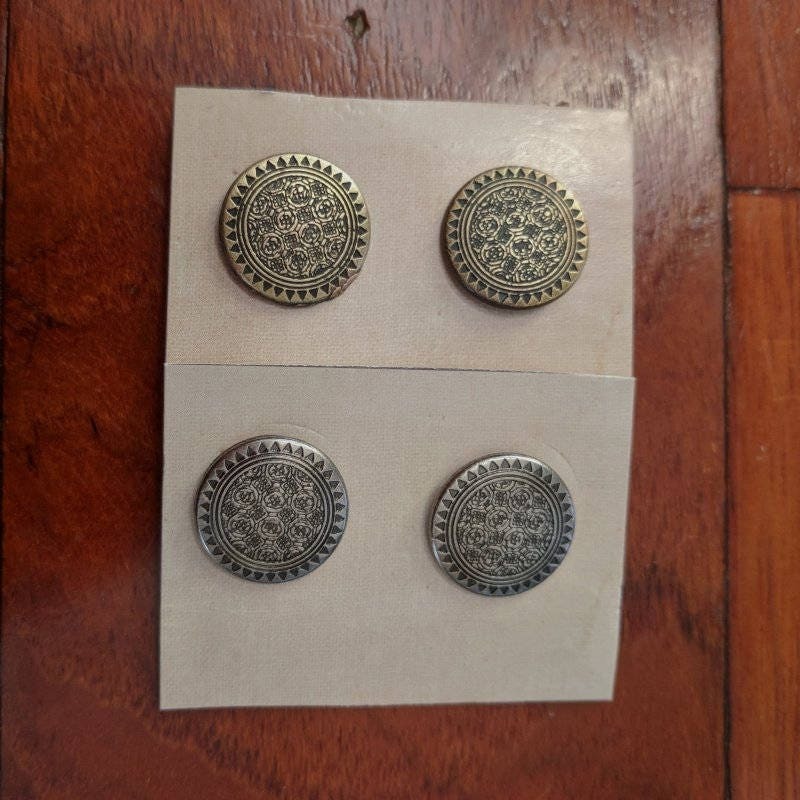 The shirt has buttonholes and metal button closures. Your choice of antique gold or antique silver. 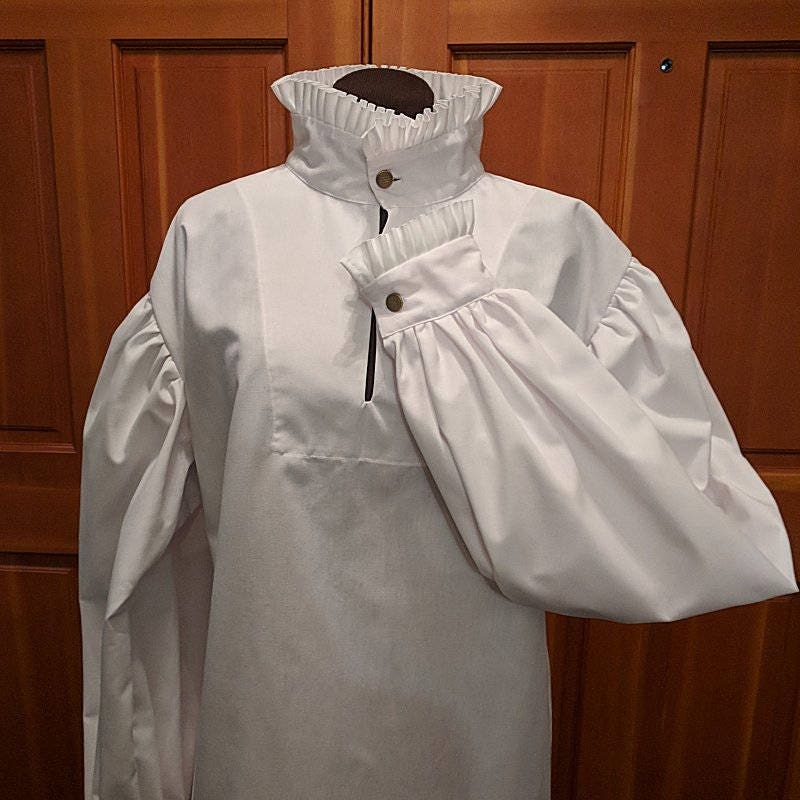 The basic fencing shirt is made of white sports cloth and is to be worn with one of our doublets (or equivalent) to make it list legal for SCA rapier combat. 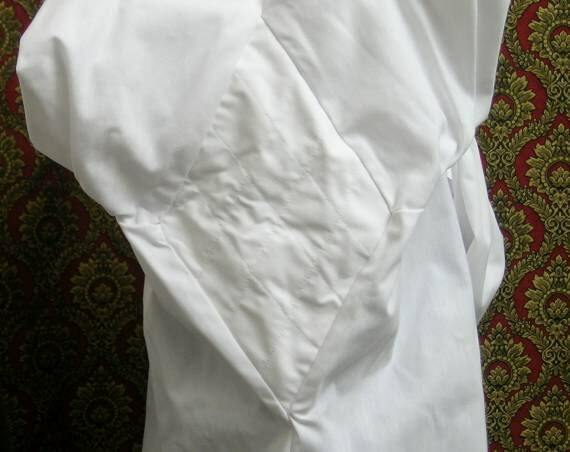 It has double sewn seams and 4 layers of fabric in quilted underarm gussets (see picture). L - XL - 2X in Stock The doublet is not included. 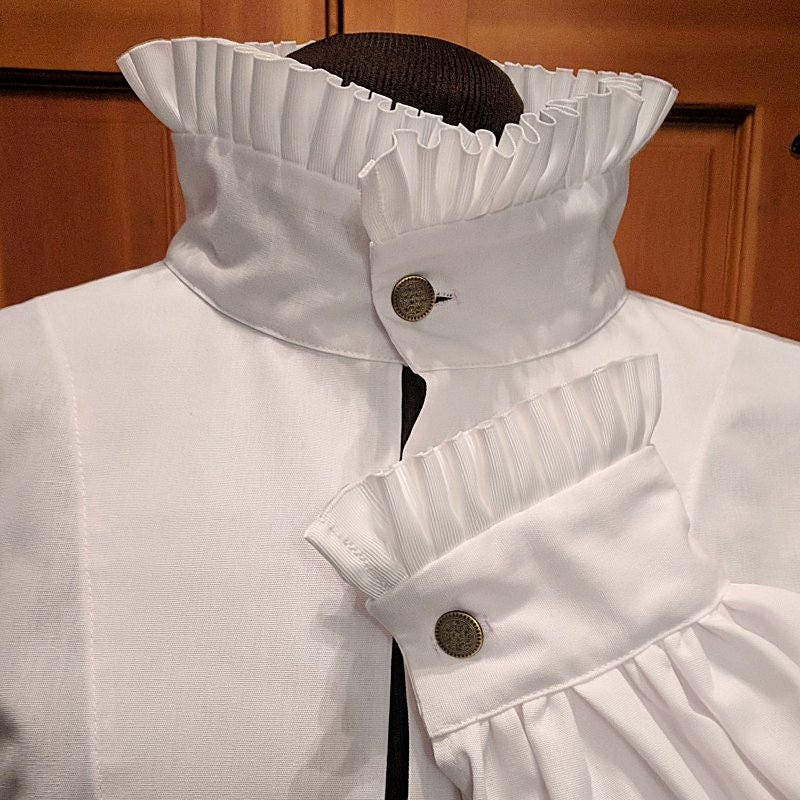 It displays how the ruff shows above the doublet collar. 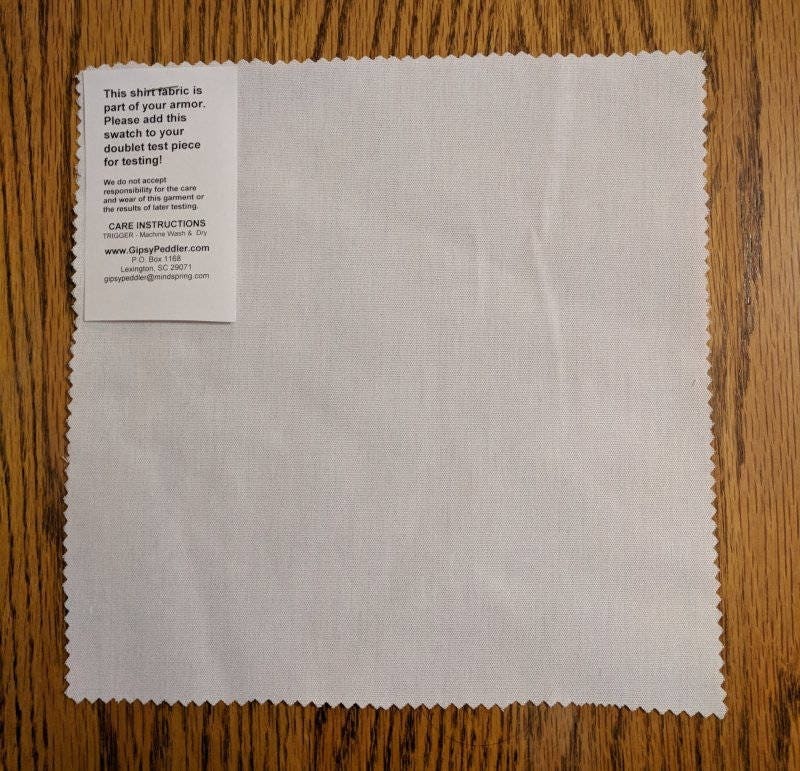 Since this shirt is part of your armor layers, an 8x8" fabric sample will be sent with the shirt to add to your other armor for punch testing or drop testing. 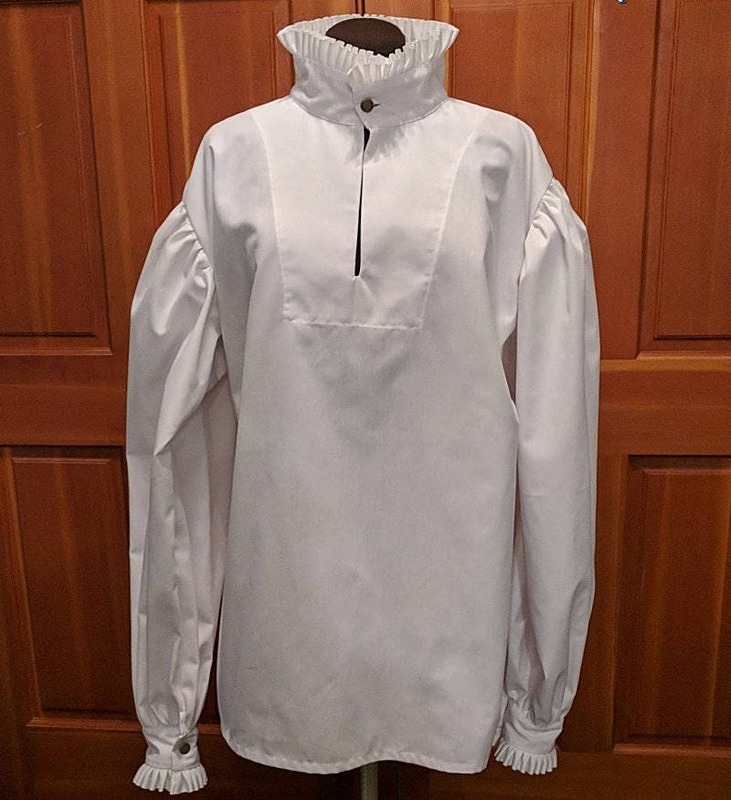 For other styles of fencing shirts, go to the Rapier Armor section. 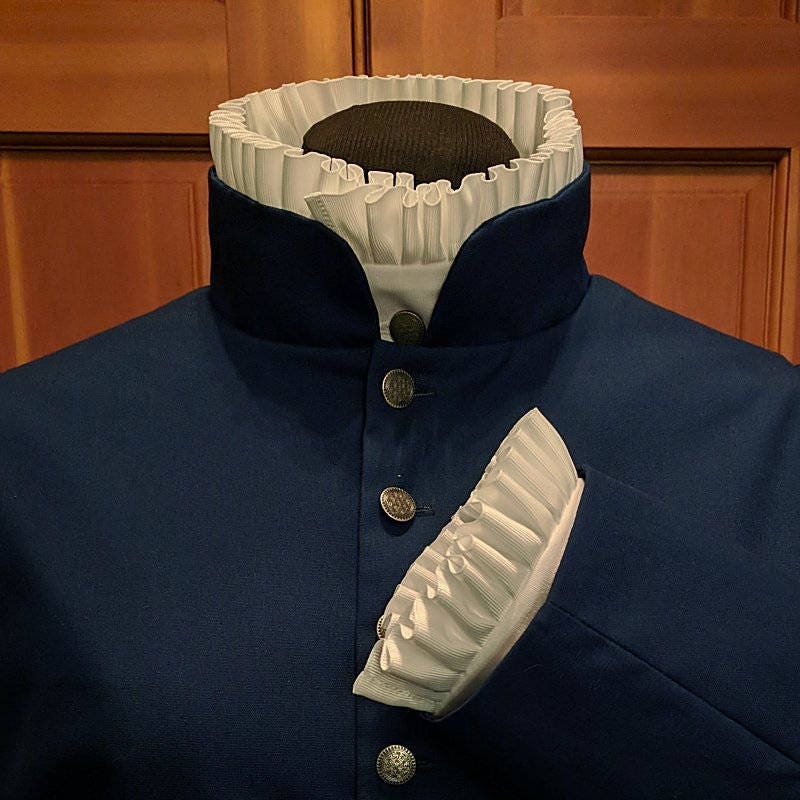 History Note: During the latter part of the 16th century, the shirt collar began to show above the doublet collar. 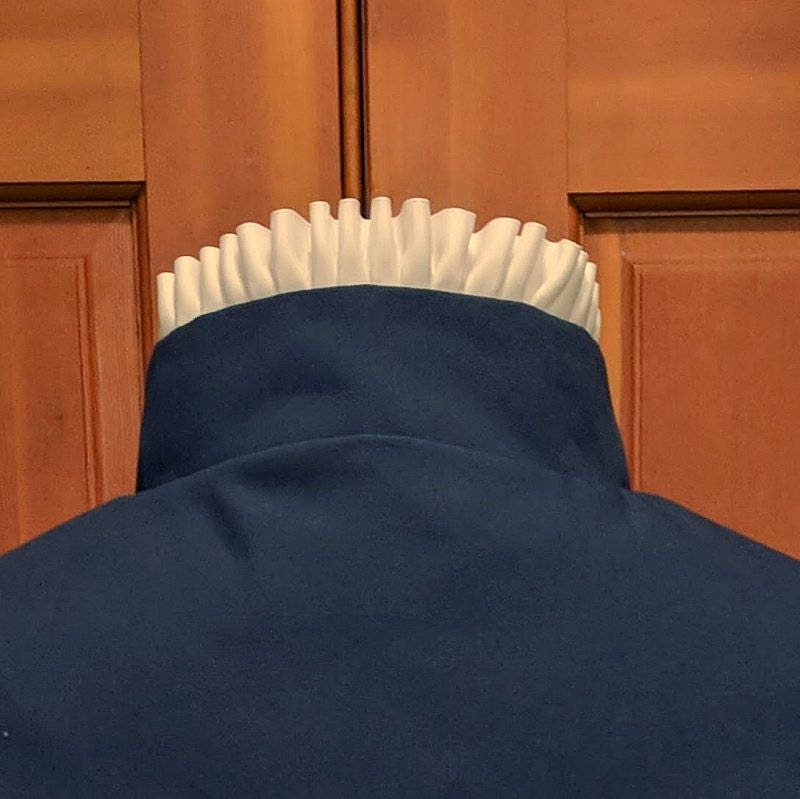 There are many paintings showing a wide variety of shirt collars, some only "peeking out," others of a medium length, while some literally "fall" over the doublet collar. At the same time, turn-back cuffs began to appear as well.